How Much Can I Claim If My Child Has An Accident At School? The well-being and safety of your child is one of your top priorities. When they’re at school, however, it can be difficult to ensure their safety. When accidents do happen, and a child injures themselves as a result, there may be a case for compensation. If there is a legal case to be made, knowing how to proceed can be difficult. According to the Royal Society for the Prevention of Accidents, children aged ten to fourteen are the age group considered to be most at risk of injury while attending school. Of these accidents, trips and falls are the largest type of accident leading to an injury. If your child has had an accident at school and has suffered an injury, it may be the parents’ responsibility to proceed with legal action. But this is not simple, nor is it straightforward. Health and safety for children in schools is legislated through many regulations and laws. When these are not adhered to, the school (or someone else) may be considered negligent. This guide is designed to show you both the complicated nature of accident claims at school and beyond, as well as providing you with resources needed before contacting educational negligence solicitors. If you are considering such a claim, it may prove to be an essential resource. A guide to school accident and injury claims. Who is responsible for child safety at a school? Is the school always at fault in an accident claim? What to do if your child is involved in an accident at school? How do accidents happen at a school? Accidents that happen outside the school. How to begin a school accident compensation claim. What can be claimed for after an accident in a school? How much compensation will I get for an accident at school? No win no fee school injury claims. Why choose us as your claims service for a school accident claim? There’s no one type of accident which takes place in a school. Children can trip and fall, they can be exposed to hazardous materials, or they could be involved in an accident while travelling to school. For example, according to research done by Road Safety Analysis, every school experiences an average of six collisions per year with regards to its transportation network. If any such accident has led to an injury, then claiming against a school may take a variety of forms. As such, knowing what to do in the wake of an accident is difficult. This guide is designed to help. Not only does it seek to establish a clear process to follow should your child suffer an injury at school, it provides advice on how best to contact legal representation and ensure your case is positioned to succeed. Often, accident claims at school are not just about compensation following one child’s accident. They can also prevent future injuries. If you find yourself wondering how to react following an accident, this guide is designed to help you. When your child is at school, it is the responsibility of the school management to ensure that they are safe and are provided with a danger-free environment. As stated in the Occupiers’ Liability Act of 1957, an occupier of premises has a common duty of care to all visitors to ensure that they are reasonably safe in using the premises for the purposes for which they’ve been invited or permitted by the occupier to be there. While most people are familiar with this law as it pertains to shops or restaurants, it also applies to schools. As such, there is a duty of care on behalf of the school management to provide a safe environment for children. When your child experiences bullying from other students. Situations in which the teachers know about it but fail to act can complicate matters. When your child has received the incorrect medication. When emergency rescue plans are ineffective in the case of fire alarms, bad weather, or other emergency situations. When the food cooked by the cafeteria is not deemed safe for consumption. When the school fails to abide by security policies and exposes your child to external dangers. When your child gets injured during bus trips to and from school. When your child is involved in an accident during school trips, such as visiting the zoo, and other school related activities. This list is not designed to be a comprehensive list of all potential school-related accidents. However, it should give you some idea of the breadth and scope of the scenarios in which a child could be injured. As such, it should show how difficult it can be to determine responsibility in such matters. For a more nuanced opinion, contacting our experts might be the best option. In many situations, the school and its management may be considered to have acted in a negligent manner. However, this is not true of every case. Children themselves can be unaware of the true nature of many warnings and safety regulations, which can make them difficult to implement. Moreover, accidents can also be caused by independent contractors in the school area. If the school has established the competency of such contractors before engaging them, then the contractors might be liable for any injury that they cause to your child. This also applies to tertiary service providers, such as a school crossing patrol officer/supervisor. Seek medical attention – while this might seem obvious, it can often be the case that your child has specific medical needs. In the case of an emergency, you can best ensure that your child is being treated correctly by relaying this information to the school as soon as possible. Even if they are already aware, being doubly sure can be reassuring for everyone involved. Remain calm – following an injury to your child, it can be easy to get distressed. However, this can complicate your thought process. By remaining calm, you put yourself in the best possible position to not only ensure your child remains as healthy as possible, but also to ensure that you can gather any evidence required for a possible future compensation claim. Discuss the matter with others – this can have a number of benefits. Not only can you gather potential witness statements, but mentioning the accident to other parents can help prevent future injuries to children that arise from similar circumstances. Be aware of your surroundings – if possible, taking photographs of the scene of the accident can be very useful. In matters such as an injury at school who pays is often the one whose negligence can be proved. If you can gather photographic evidence of the school’s failure in this regard, this can be very helpful. Accidents involving children are incredibly difficult to prevent. It is the nature of children to be unaware of dangers and prone to ill-judged actions. However, this is not to say that the risk of accident cannot be minimised. Slips, trips, and falls which can be caused by loose handrails or a failure to clear pavement and pathways. Also defective pavement causing tripping on pavement injuries. Accidents involving play equipment, potentially caused by inadequate supervision or defective equipment. 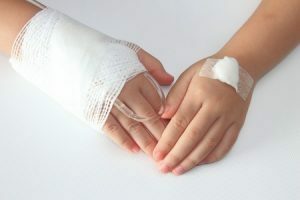 Injuries caused by dangerous school buildings, playgrounds, and walkways. Injuries sustained as a result of unsafe school equipment, such as desks and chairs. Accidents which occur as a result of playing sports in school. Food poisoning caused by improper food preparation or tainted food. As well as this, we have also seen many cases of a school bus accident injury claim, wherein the bus is the location of the accident. We will cover this in greater detail below. It’s important that the threat to a child’s safety is reduced as much as possible when they are at school. If your child has suffered an injury due to one of the incidents listed above – or any other circumstance – then you may have a legitimate claim for compensation. According to research carried out by the Road Safety Alliance and Axa Car Insurance, there were 1,190 child injuries a month which occurred within 500m radius of schools, as averaged over the course of six years. As such, accidents involving pedestrians and road crossings outside a school are not uncommon, particularly among those aged eleven to twelve. Accidents which occur on school trips and on school transport (buses and other methods) can be just as bad as those which happen on school property. Furthermore, they can also be deserving of compensation, even in cases where a child might not have looked both ways before crossing a road. Speed restrictions for motorists passing near schools. A prevalence of road signs warning drivers and others about the proximity of a school. Schools providing with a wealth of health and safety resources dealing with these matters. Strict penalties applied to those who have been found to have broken these regulations. Note that accidents outside school also applies to accidents that happen during school trips, as well as potential road accidents involving buses. In many cases, the school’s management will be similarly liable. As such, school bus accident claims can be handled in a similar manner to most school-related compensation claims. For more information, contacting a solicitor is advised. Gathering evidence – this might include witness statements or testimonies from teachers at the school. It might also include medical bills and documents. Consult educational negligence solicitors – once you have your evidence, taking it to a lawyer can illuminate the way forward. When it comes to knowing who to contact and which steps must be taken, this can be invaluable. Take advantage of our free consultancy session – the process of treating your child can take up a huge amount of time and energy. That is why we offer a free consultancy session to determine your right to claim. This can greatly reduce the hassle of mounting a case on your own, giving you an informed legal opinion on your chances of success. Determine the extent of the injury – because the severity of an injury, both now and in the future, is so important, having an informed medical opinion is essential for your case. Often, we’ll be able to book you in with a local doctor to ensure you have the best opinion possible. Relax – if you have the best legal assistance available, the amount of stress and worry that a compensation claim entails can evaporate. Trusting your case to a legal firm such as ours can allow you to relax and give your child the best help in recovering from their injury. Many might be left with questions such as ‘after an accident at school who pays?’ It is not uncommon for people making compensation claims to overlook key costs that have arisen as the result of the injury. As well as the general damages relating to the accident, there are a litany of additional claims which can be made. General damages – this is the cost of the pain and suffering that the child has endured. It includes the cost of physical, emotional and mental aspects of the injury. Care claim – This includes the expenses incurred to hire people to care for your child following an injury. Loss of earnings – In situations such as these, loss of earnings can be difficult to prove. Depending on the age of the child affected by the injury, it is unlikely that they will have been employed and thus likely to lose earnings. However, this (and the possibility of a parent’s lost earnings) can be discussed with a legal expert. Travel Expenses – this includes the cost of travel to see doctors, therapists, chiropractors, and other travel costs. It could include, for example, fuel bills. Medical Expenses – this is the cost of ongoing treatment and the bills given by various health and fitness professionals, especially those in the private sector. The amount your child will be paid as compensation depends on many factors, including the severity of the injury sustained. However, with the aid of experienced and expert educational negligence solicitors, you can be better placed to ensure that your settlement covers every possible cost. With many people wanting to know more about settlements, we have put together the below table. It lists a variety of injuries, determining factors, and the eventual settlement amounts. It can be a very useful point of reference in your case. Toe Injury Moderate to severe Up to £10,450 Soft tissue damage, cuts and bruises. Foot Injury Amputation £63,825 to £153,200 One or both feet. Foot Injury Minor to severe Up to £83,325 Permanent loss of use of one or both feet. Wrist Injury Minor to severe £2,675 to £45,500 From soft tissue damage to permanent loss of use of one or both wrists. Hand Injury Amputation £107,000 to £153,200 Amputation of one or both hands. Hand Injury Minor to very severe £700 to £64,275 Loss of use of both hands. Arm Injury Amputation £104,250 to £228,000 Amputation of one or both arms. Arm Injury Minor to severe £14,600 to £99,500 Permanent loss of use of one or both arms. Shoulder Injury Minor to severe Up to to £36,500 Permanent restriction of movement in arm or neck. Neck Injury Minor to severe Up to £112,750 from soft tissue damage to permanent nerve damage, partial paralysis or numbness of the limbs. Eye Injury Severe (permanent) £6,925 to £136,700 Total blindness in one or both eyes. Eye Injury Minor £3,000 to £6,650 Impaired vision which will heal fully in time. Head Injury Very severe £214,350 to £307,000 Complete loss of life quality, unable to care for oneself, serious degradation of mental capacity. Head Injury Severe £166,500 to £214,350 Significant loss of life quality, permanent impediment to mental capacity. Head Injury Moderate £32,725 to £166,500 Loss of life quality, with the expectancy of full recovery in the future. Head Injury Minor £1,675 to £9,700 Minor problems with mental faculties such as memory and cognitive ability. The above table is not designed to be a definitive list of compensation awards. Instead, it is designed to give an indication of how much the severity of an injury can affect a payout and how much you and your child might be awarded in a similar case. If you would like more information regarding your case specifically, feel free to contact our team. One of the most important considerations when discussing compensation claims is the finances. Many legal firms may require or demand high costs before the claim is settled. For a family struggling in the wake of a serious accident, this can be difficult. If you have had to take time away from work to care for you child, this matter can be exacerbated. However, we have an alternative arrangement. Our ‘No Win No Fee’ agreement helps resolve this financial issues in a neat, mutually beneficial manner. We are able to provide you with our expert legal advice without having to charge anything until you receive compensation. This approach, also known as a Conditional Fee Agreement, reduces the financial burden on those who are considering legal action. If you do not receive compensation, you don’t have to pay our legal fees. There are many reasons why we are the perfect choice to represent your school accident claim. It’s our years of experience, our focus on client satisfaction, and our friendly, informed attitude which can be so relaxing in times of great stress. In addition to our ‘No Win No Fee’ arrangement, we can also help you by booking a doctor’s appointment to fully diagnose the severity of your child’s injury, and we can arrange for a free consultation before embarking on your case, helping you navigate the difficult world of compensation claims. As a result, it only takes one phone call to learn why we are so well-positioned to make the difference to your claim. Call our team or visit our website and discover the myriad benefits we bring to each and every case. If you would like to learn more, you can take advantage of our free legal consultation today. If your child has been in a school accident and you want to seek compensation, we are the ones to make it happen for you. Call us today on 0800 073 8804 and book a free consultation session. Has your child been injured in the nursery? find out how much compensation you can claim. Schools are responsible for childrens safety and while they’re at school or on a school trip the school is responsible. If your child can’t attend school because of illness or injury, your school Find out more. Notification form for local authorities to tell Ofsted about serious childcare incidents for children living at home or children in care.